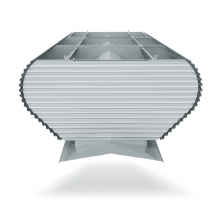 Taking full advantage of natural airflow, Airocle’s range of slope ventilators offer high performance and cost effective ventilation solutions for commercial and industrial buildings. Inspired by natural and engineering development, our vents use the naturally occurring phenomenon of thermodynamic forces to draw exhaust. 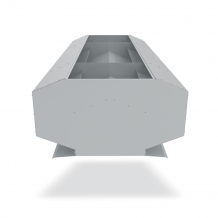 Airocle’s roof vents naturally extract airborne waste and low to medium heat load from your building, providing optimum temperature as well as regular change of air. 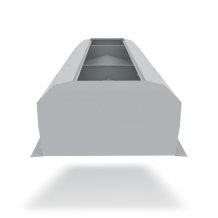 Using virtually no energy, Airocle’s roof vents offer numerous cost advantages, making them a sustainable, environmentally friendly and effective alternative to mechanical ventilation systems. With a combination of innovation and over 30 years’ experience, our roof ventilators have been developed and refined to incorporate some of the market’s leading materials and technologies, which guarantee an highly durable and reliable product.. Highly versatile, our range of aesthetically-driven slope ventilation display an appealing and non-obtrusive design, which will blend within the building architecture.